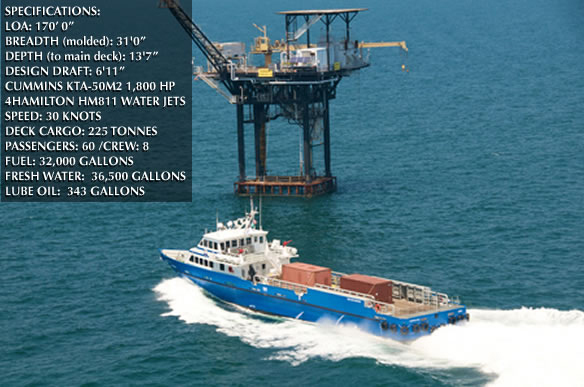 A pair of 170’ Jet-Drive crewboats designed by Castleman Maritime and built by Horizon Shipbuilding of Bayou LaBatre, Alabama, were delivered to Fymak Marine & Oil Services to service the off-shore, Nigerian oil platforms. driving Hamilton HM811 water jets. Design speed is 30 knots. 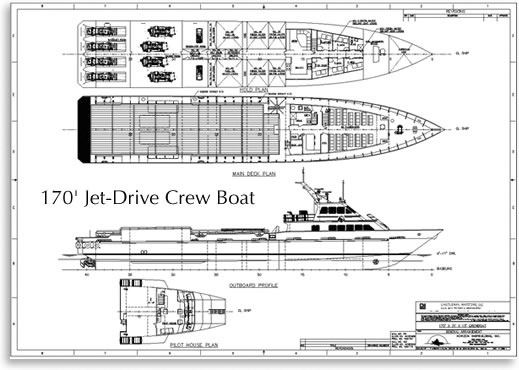 Each has a cargo capacity of 225 tonnes of deck cargo plus 60 passengers. The CHINYELUGO is working with Reservoir Exploration Technology (RXT) on contracts awarded by ExxonMobile and Total.